Fainting caused by a fall in blood pressure is known as syncope in medical parlance. Its onset is swift and sudden and its duration is short with spontaneous recovery. Syncope is caused primarily by hypotension. Syncope can be classified into three categories, namely reflex, cardiogenic, and orthostatic hypotension. Among them, cardiogenic or cardiovascular type, also referred to as neurological syncope, is the most common. It is also the most severe form requiring immediate medical attention, especially in the elderly. Orthostatic syncope is characterized by hypotension due to upright position and cerebral hypo perfusion without bradychardia. It results from physical exertion, especially from standing in hot or crowded places for long periods. It can also be caused by multisystem atropy, parkinsonism, diabetic neuropathy, hypovolemia, and cardiac insufficiency. Reflex syncope or neutrally medicated syncope results from vasodilation and bradycardia leading to system hypotension or cerebral hypo perfusion. It can be further categorized into vasovagal syncope, carotid sinus syncope, and situational syncope. Clinical history is primarily leveraged to diagnose syncope. Initial evaluation of syncope entails physical examination and electrocardiogram. Depending upon the different diagnostic tests involved, the global syncope market can be divided into magnetic resonance imaging (MRI), computed tomography (CT), electrocardiogram, hemoglobin count, Tilt table test, and carotid ultrasound. Computed tomography and MRI are typically leveraged for complicated syncope. Hemoglobin count helps to find out if the syncope has been caused by anemia or blood loss. A Holter monitor, which is a battery-operated portable ECG, monitors heart rhythms throughout the day in order to better fathom the heart’s activity during fainting. Other diagnostic laboratory tests entail measuring serum glucose, cardiac enzymes, serum electrolytes, total creatine kinase, and urinalysis. Syncope management involves channeling blood back to the brain by laying the person on the ground, with legs slightly elevated or making him lean forward with the head between the knees for at least 10-15 minutes, preferably in a cool and tranquil place. Pacemakers and implantable defibrillators are needed when cardiac disease is the reason behind syncope. Certain pre-hospital management procedures entail oxygen administration, glucose administration, intravenous access, pharmacologic circulatory support, advanced airway techniques, and defibrillation. Drug treatment for syncope includes administration of anticholinergics, nutrient supplements, benzodiazepines, and vasopressors. Based on geography, the key segments in the global syncope market are Asia Pacific, North America, Europe, and the Rest of the World. North America, among them, is the leading market and it is followed by Europe. The regions dominate because of a highly developed healthcare infrastructure and the increasing prevalence of cardiovascular diseases. Going forward, technological progress coupled with strong demand for monitoring devices from the emerging economies of the world is predicted to bolster the global syncope market. 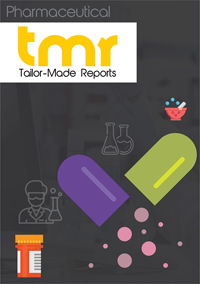 To present an in-depth assessment of the competition prevailing in the global syncope market, the report profiles companies such as Alba Medical Systems, Inc., Medicomp, Inc., Biotronik, Medtronic, Inc., Philip Healthcare, Fukuda Denshi Co., Inglheim, Sanofi Aventis, Boeringher Biotel, Inc., GE Healthcare UK Ltd., Mortara Instrument Inc., Sorin Group, Schiller-AG, and Spacelabs Healthcare, Inc.